Tu parles à ta soeur. Tu lui parles. You talk to your sister. You talk to her. Nous détestons cet homme. Nous le détestons. We hate that man. We hate him. Marc regarde la télé. Marc la regarde. Marc is watching telly. Marc is watching it. Les enfants aiment la musique. Les enfants l'aiment. The children love the music. The children love it. 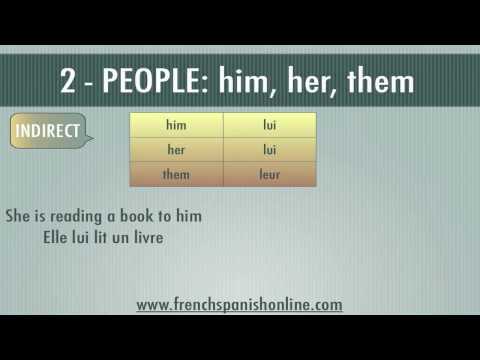 When object pronouns are used in a sentence with a conjugated verb, they are placed between the subject and the conjugated verb.